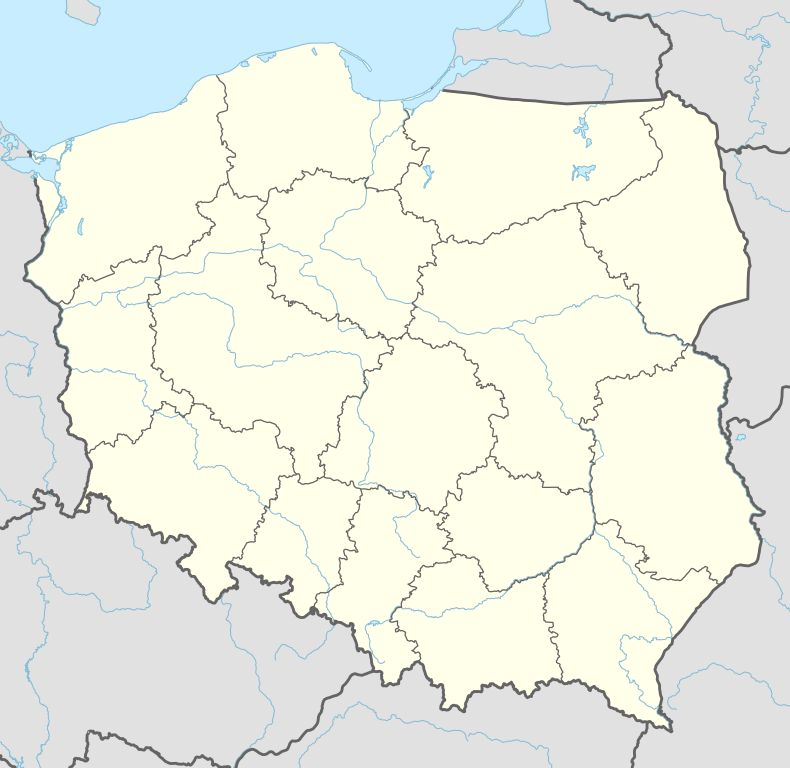 Góra Kalwaria [ˈgura kalˈvarʲa] is a town on the Vistula River in the Mazovian Voivodship, Poland, about 25 kilometres (16 miles) southeast of Warsaw. It has a population of about 11,000 (1992). The town has significance for both Catholic Christians and Hasidic Jews. Originally, its name was simply Góra (literally: "Mountain"), changed in 1670 to Nowa Jerozolima ("New Jerusalem"), and in the 18th century to Góra Kalwaria ("Calvary Mountain"). The Yiddish name of the town is גער (Ger). Major industries previously included food processing (Hortex), sports equipment (Polsport), and chemical industry. However, by 2005, they had all closed. The village of Góra already existed in the 13th century. Completely destroyed during a Swedish occupation known as the Deluge, in 1666, it became the property of Stefan Wierzbowski, Bishop of Poznań, who decided to found a new town on the ruins. His plan was to build a calvary — a religious center dedicated to passion plays and services, which was popular in the early modern Poland. He was encouraged by the fact that the local landscape resembled that of the Holy Land. 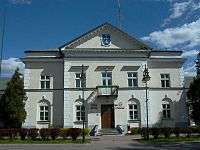 In 1670, the town was renamed Nowa Jerozolima, granted city rights and construction work kicked off. The urban design was based on medieval maps of Jerusalem, and the street grid formed a Latin cross. The bishop invited Dominican, Bernardine and Piarist orders to settle in the town, which soon became dotted with monasteries, churches, chapels and passion paths (such as stations of the Cross). The town was supposed to be a purely Christian one and Jews were not allowed to settle there. After Bishop Wierzbowski's death the decline of the town began. Many churches and chapels were pulled down, and in the years 1883–1919 the town was deprived of city rights. In the early 19th century, the ban on Jewish settlement was lifted and Jews shortly became the predominant group in the town. Góra Kalwaria then became one of the major centers of Hasidic Judaism and home to the Ger dynasty. During the Holocaust, the Jewish population of the town was first concentrated in a small ghetto. In 1942, it was transferred to the Warsaw Ghetto and from there to the Treblinka extermination camp. Wikimedia Commons has media related to Góra Kalwaria.